Iron ore-focused Flinders Mines is postponing its plan to delist from the ASX following shareholder applications to the Takeovers Panel. 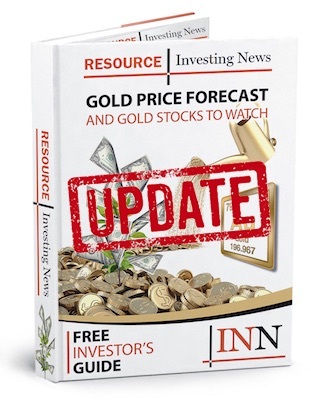 Flinders Mines (ASX:FMS) is postponing its plan to delist from the ASX following shareholder applications to the Takeovers Panel. The company initially announced privatization plans in December 2018 on the basis that it was in the best interest of its shareholders. Flinders attributed part of the reasoning to “various challenges” regarding progressing its Pilbara iron ore project (PIOP), along with a lack of capital support from public markets, low levels of trading liquidity and costs associated with maintaining its spot on the ASX. Its plan to delist also involves an on-market buyback for shareholders who don’t want to retain their shares in Flinders. The buyback is to be funded by a loan facility from TIO (NZ), a subsidiary of Flinders’ largest shareholder, Todd. TIO holds a 55.6-percent stake in the company. “The board of Flinders does not believe it is in the best interests of shareholders to continue incurring the costs and administrative burden associated with a listing that is ineffective,” Flinders Chairman Neil Warburton said in a statement at the time of the delisting news. While the company had intended to seek shareholder approval at a meeting to be held January 22, Flinders announced it would be postponing the meeting just days before. A statement says the meeting will be pushed to February 6 or the date that proceedings with the Takeovers Panel are concluded, dependent on which comes first. In the announcement regarding Flinders’ initial plans to delist, the company highlighted some of the disadvantages to the proposition, including shareholders losing their ability to sell shares on the ASX. Major shareholder Todd tried to acquire Flinders in 2016 in pursuit of its PIOP asset, first offering shareholders 1.3 cents per share in March of that year, totaling a $38.15-million offer. Then in May, the company boosted its offer to 2.5 cents per share, or $73.8 million; the takeover bid was valid until August 31, with Flinders’ directors urging shareholders to accept the deal. It is unclear why the takeover did not go through. The Pilbara region of Western Australia has become a mining hotspot over the last several years, with iron ore being one of its most significant commodities. Iron ore is one of Australia’s strongest exports on a national scale, and according to a 2014 report from Regional Development Australia, approximately 95 percent of it is produced in the Pilbara. Major miners like BHP (ASX:BHP,NYSE:BHP,LSE:BLT) and Rio Tinto (ASX:RIO,LSE:RIO,NYSE:RIO) have strong ties to the iron ore scene in the Pilbara, with BHP having been active in the region for over 65 years and Rio currently operating 17 iron ore mines in the area. Re FLINDERS MINES takeover by Todd was that the offer was so low it was refused by shareholders, but it is typical of Todd Corp N/Z, if they cannot buy for way under real value they try other methods no matter how much it hurts minor shareholders.